Find a Nanny has a resources section for parents, nannies and professional child carers with emergency information, children's videos and colouring-in sheets and with more to come. The Emergency Information contains the phone numbers you are likely to need in an emergency. They are highlighted in a red banner at the top of the page and are for police, ambulance, fire and poisoning information. Immediately below are a series of ten videos showing how to perform infant CPR, child CPR, what do do in cases of infant choking, poisoning, burns and loss of consciousness. The videos are only a few minutes long and could end up being a life-saver. It would be a really good idea to watch each one at least once, and then come back and watch them again in a couple of week's time as a refresher. Really everyone should have a knowledge of CPR and note that infant CPR techniques differ from those performed on an adult. For a professional child carer it is absolutely essential to know basic first aid and, preferably, to have gone through a certified training course. Parents who intend to employ a nanny or babysitter should ask to see first aid certificates of any adult they hire to look after their child. I remember one tragic case a few years ago of an infant who suffocated by choking while her grandmother, who didn't know what to do, rubbed medicated oil on her forehead. The next section in the resources library is for kids videos. The top row contains flash-cards for the alphabet and word-picture associations. Some people seem to think that flash-cards are a great way to start early childhood education. I actually have my doubts about that, but they ARE a good way for an adult to engage a child in a fun filled two-way communication session and many years after using them I can still remember the smiles and giggles of our evening flash-card times together. 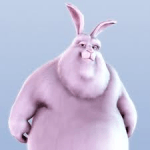 Amongst the videos there are some delightful ones, perhaps the most famous one being "Big Buck Bunny". The main character is a loveable (though hardly cute) bunny who is being pestered by the bratty behaviour of an assortment of rodents, and who kill a butterfly which he was admiring. The rest of the video is about retribution and contains scenes of "cartoon violence" that kids always seem to laugh at. "For the Birds" is a simple but funny tale of a flock of birds trying to settle down for the night on a wire but who end up squabbling amongst themselves until they are distracted by a goofy looking bigger bird whom they make fun of. The story ends with the smaller birds being in an embarrassing situation. "French Toast" is a wonderfully quirky story with some "off-the-wall" characters, which addresses themes of snobbery, dishonesty, and judging people by their appearance. I would spoil the story if I summarised it here, but do take a look. If you think your child might be lonely sometimes, do sit together and watch the video titled "Short Film by Wes Ball". It is an interesting mix of film and animation and has a lovely theme of how imaginative story telling can overcome loneliness. At the bottom of the page is a collection of lullabies and if you are lucky, one of them might be just the thing to send your baby off to sleep. The video titled "Chinese Lullaby" lasts for an hour. I wouldn't bother watching the images on the screen. On the previous version of this website we had some classic children's nursery rhymes and children's stories. We will be bringing them back as soon as we find a nice way to present them in a flip-book which works on iPhones, iPads and everyother device out there. Don't you think iPads (and other similar devices) are great for entertaining babies and children? I do. You just have to be careful that kids don't become addicted to them and prefer them to real human company.